The best advice my mother ever gave me is that life can be tough (with lots of ups and downs) and we live through the tough times to experience “the moments” that make life worth living. 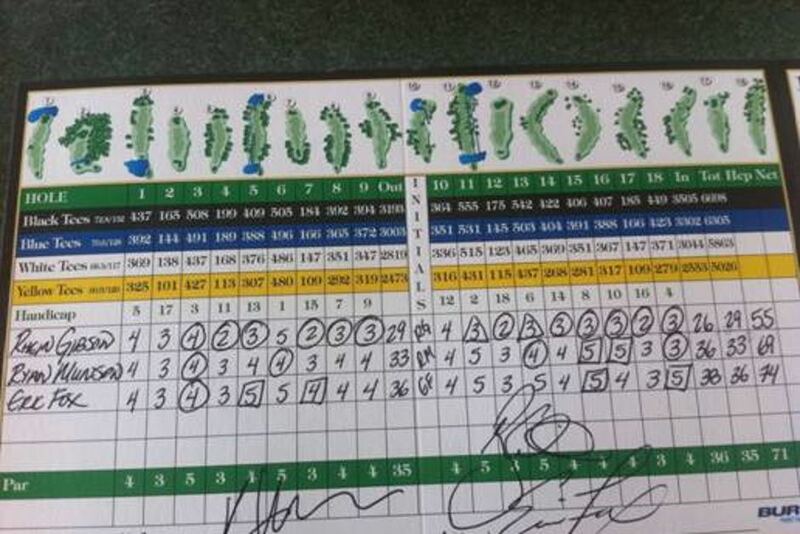 So here are two stories that are perfect examples of the ups and downs of life as a golfer. One story of a golfer making history and the other who should have made history except for a heartbreaking lapse in concentration. Let’s start with the moment of glory for Rhein Gibson. Gibson is not someone you should know. He plays on the Golfweek National Pro Tour (frankly, a mini-tour I have never heard of before now). So what did Gibson do for his moment of glory? He recorded a 55 (or 16 under par) at his home course, River Oaks, in Edmond, Oklahoma. His scorecard is all over the internet but if you have not seen it here is a great shot of it from the Australia Broadcasting website article (Gibson lives in Oklahoma but is Australia). How good is a 55? The world’s best female golfer is known for shooting a 59 (in tournament play) and her nickname is Annika59 (yes, Annika Sorenstam). She often talked about her personal goal to shoot a perfect round — the elusive score of 54 (which would be a birdie on every hole). But this has never happened for any golfer. Now, Gibson was not playing in a tournament but Gibson’s score of 55 could still go into the Guinness Book of World Records. We will have to wait and see if it accepted; but what an amazing site to see. Six birdies on the front nine for a 29; followed by 2 eagles (the triangles) and 6 more birdies for a back 9 score of 26. Will Gibson ever make it to the PGA? Who knows, but he has his 15 minutes of fame and a moment in his life that he will never, ever forget. In golf, a player must sign the scorecard at the end of the round and if the player signs an incorrect scorecard they will be disqualified. This is what happened to Inglis. According to news reports, her playing partner recorded a par for Inglis on the final (18th) hole but Inglis shot a bogey (1 over par); and Inglis did not catch the error and signed the card. 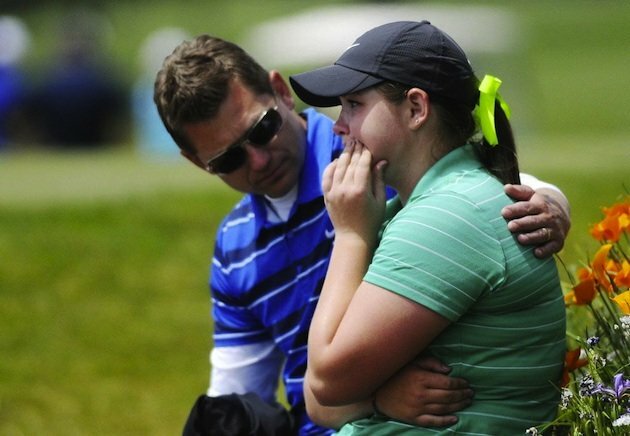 You can see the disbelief in the young golfer’s face in the photo below. In other words, the young player was so excited that she lost her concentration and did not focus on making sure the card was correct. That’s a tough golf (and life) lesson to learn. I’m sure Caroline Inglis will recover and go on to bigger and better things in golf. Although we can’t predict her future; I think we can predict she will always double check her scorecard.